Preheat oven to 300 degrees. 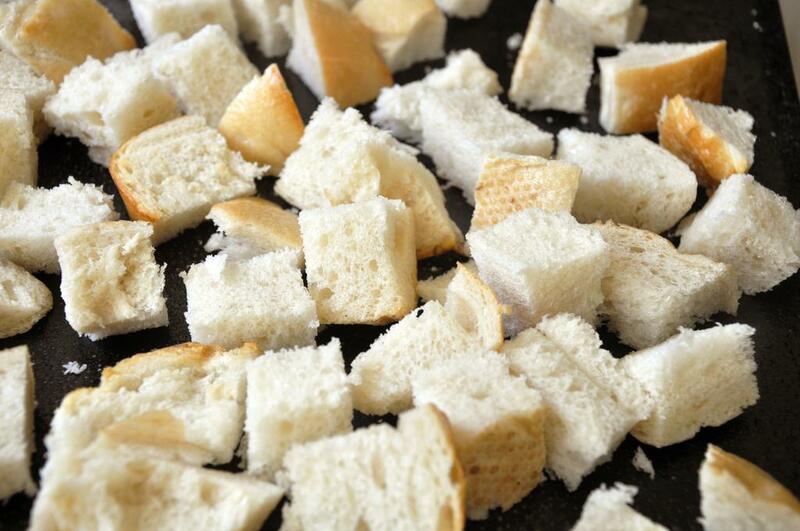 On a cookie sheet, lay out bread cubes in a single layer and spray with cooking spray. Bake 10 minutes, until crisp, and then broil for 1-2 minutes to brown. Remove and let cool. 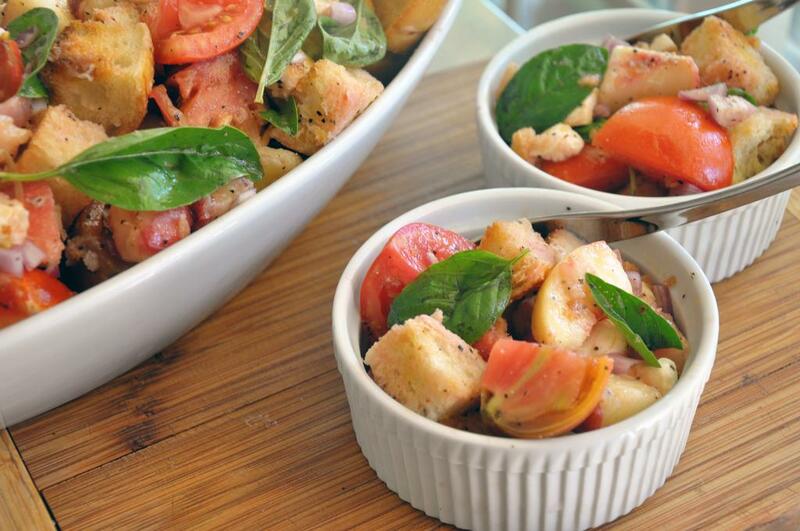 Meanwhile in a large bowl, add peaches, tomatoes, shallots, basil and bocconcini and toss gently. In a small bowl, whisk EVOO, vinegar and SnP together. To assemble, add bread cubes to salad and pour dressing over top. Toss gently and serve immediately. If bringing to a party or eating later, mix everything together except the bread cubes. 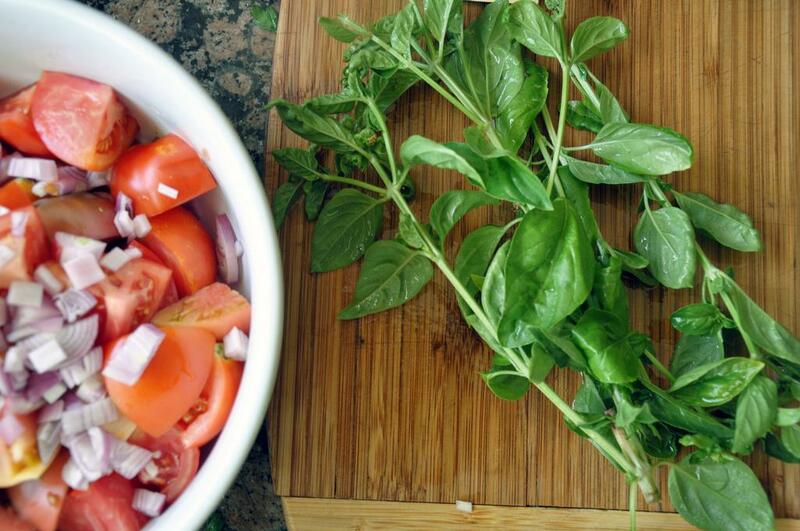 Refrigerate until ready to use and toss in bread cubes at the last minute before serving.